In contrast to black peppercorns that are obtained from a tropical vine indigenous to Asia, pink peppercorns are the fruits of Schinus terebinthifolius, a South American tree in the cashew family also known as Brazilian Pepper Tree, Christmasberry and Rose Berry. 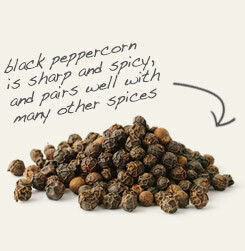 Although not a true pepper, pink peppercorns add a peppery taste to foods. 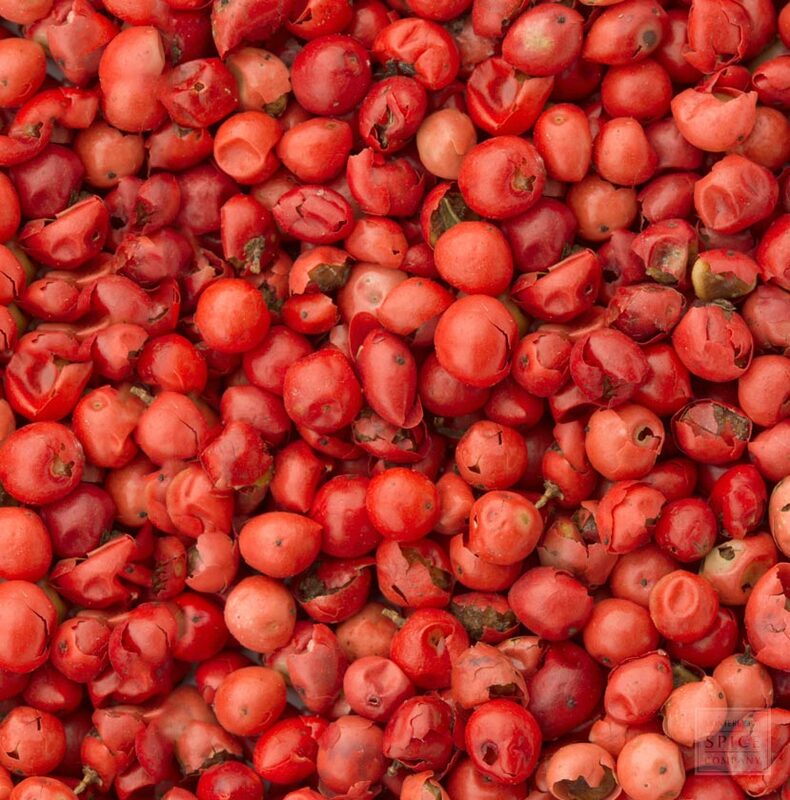 Please note: Pink peppercorn can cause an allergic reaction in people with nut allergies. why buy whole pink peppercorn? 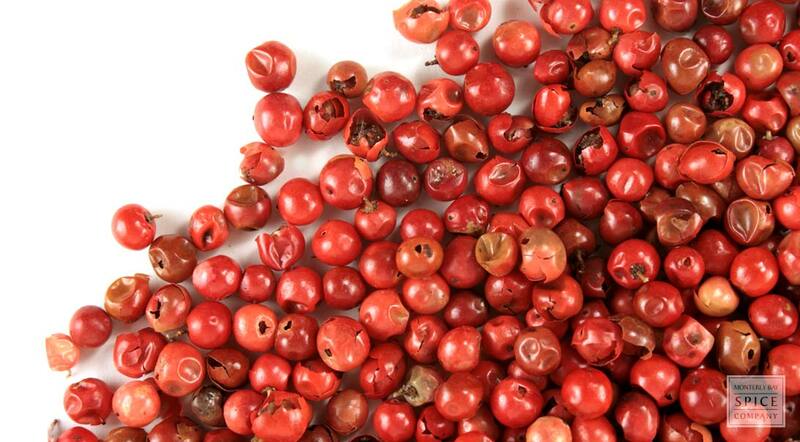 Pink peppercorn lends color, texture and sweet flavor to foods. appearance & aroma Bright to medium rose color with a mildly fruity aroma. decorative Adds color to herbal displays. culinary Lends color and a sweet, almost fruity flavor to foods. Use in fruit salsas, vinaigrettes and sauces. Also good lightly crushed with cracked black and green peppercorns. aromatic Infuse in oil or alcohol for use in making perfumes. safety Pink peppercorn is part of the cashew family and can cause allergic reactions in those with nut allergies. 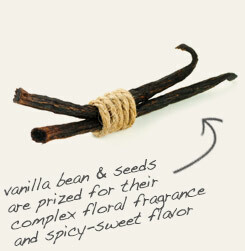 Pair with vanilla bean in fruited ice cream and other sweet treats. 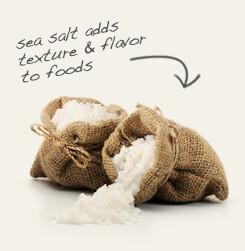 Finish foods with lightly crushed pink peppercorns and large granule sea salt just before serving. Though they are both from different plants, pink peppercorns and black peppercorns are a natural pairing. Slightly sweet and acidic. Blends well with black peppercorns and savory herbs. Pink peppercorns, also called rose peppercorns, are not "true" peppercorns like green and black peppercorns. These are actually the tiny, rose-colored berries collected from the Brazilian pepper tree. As the same suggests, this member of the sumac and cashew family is found in Brazil, as well as in Paraguay and Argentina. This species is also cultivated in California, Texas, Arizona and Florida. In terms of flavor, pink peppercorns taste similar to black or green peppercorns but are milder, with a citrus-like or acidic finish. They also give off a sweet aroma. 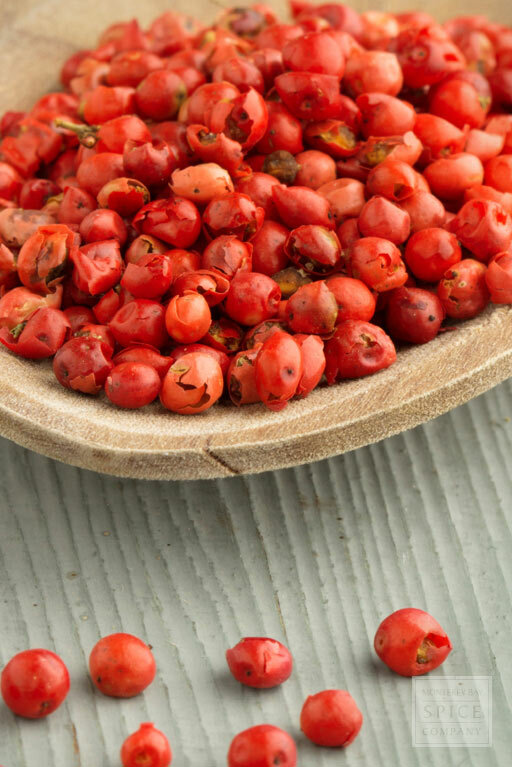 Pink peppercorns are also noted for their delicate texture. In fact, the skins or fruit hulls tend to slip off easily. Read more about pink peppercorn in our newsletter archive A Passion for Pepper from July 2014. There are a few short articles about different kinds of peppercorn, a brief discussion about the role of peppercorn in history and more recipe suggestions.